The inks on this page are specific to The AKC and AKC Events. They provide information about AKC Sanctioned dog shows. 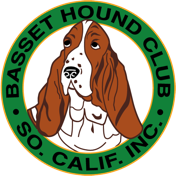 If you are truly interested in basset hounds we suggest that you go to dog shows where you can see good examples of the breed and meet their breeders. This site provides information on dog shows for those who are new to them. Dog shows are very important to the selection of breeding stock for breeders as well as giving puppy buyers a chance to see well bred dogs and meet their breeders. Look at the menu at the top of the BHCA website Home Page. There are many national and state organizations trying to limit or revoke our rights to own and breed pets. The AKC is involved in trying to keep people informed on these pieces of legislation and doing what they can to protect our rights. In Session is a quarterly newsletter for members of Congress or State legislators and their staff. The AKC noticed the need for accurate information on dogs on the Internet. In 2014 they created the WOOFIPEDIA on the Internet to help fill this void. WOOFipedia, provided by the American Kennel Club )AKC), celebrates all dogs, and the people who love them. Our aim is to engage, entertain, and educate. The American Kennel Club is dedicated to upholding the integrity of its Registry, promoting the sport of purebred dogs and breeding for type and function. Founded in 1884, the AKC and its affiliated organizations advocate for the purebred dog as a family companion, advance canine health and well-being, work to protect the rights of all dog owners and promote responsible dog ownership. This is a great new video produced by the AKC which explaind the coincept of responsible breeders. This is an excellent resource for breeders to use to explain how they are different from other breeders. It's also an excellent video to explain to people what it takes to be a responsible breeder. Every day we are surrounded by the good that our dogs bring us. Our lives are defined by our dedication to our dogs—to the highest standards of expertise in breeding, training, exhibiting, and ensuring the well-being of our dogs and the future of our breeds. But all of this is under attack. Extremists assault our integrity and our rights daily. Biased legislation once considered extreme has become mainstream. We are fighting the good fight, but we need your help. We need to show our strength to legislators. We need them to know we will support them when they support us. This is the official AKC Rules Applying to Dog Shows. It is updated with changes as they take effect. Ofter the changes are first included at the beginning as inserts that are colorcoded by the date they took affect. This is the official AKC Rules, Policies and Guidelines For Conformation Judges. It is updated with changes as they take effect. Ofter the changes are first included at the beginning as inserts that are colorcoded by the date they took affect. This is a chart on AKC Conformation Judging Eligibility that is related to Rules, Policies and Guidelines For Conformation Judges. It The chart explains when judges are eligible to judge and the exhibitibng restrictions placed on judges by AKC. The AKC has compiled a list of Frequently Asked Questions regarding conformation shows. This might be a good place to start when someone isn't sure about an AKC rule or policy. Under each questions there are links to the appropriate pages for additional information relating to the questions. 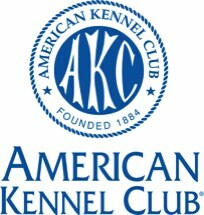 Please NOTE: The American Kennel Club (AKC) is in the process of changing their website again. The webmaster will come back and check these links after the new website is launched. It is possible due to some recent changes that some of these links are already out of date. For more information on Responsible Breeders from the AKC go HERE. Please note that this page has a link to the AKC Marketplace where breeders can advertise their litters. It DOES NOT mean that all the breeders listed are Responsible Breeders. This listing is available to all breeders with AKC registered litters who pay for the advertising. Many Responsible Breeders do NOT advertise on the AKC Marketplace.